How different would a battlefield look like if the gods you were praying to, fought with you side by side? This brutal game has 9 winning lines which you can play both right to left and left to right. 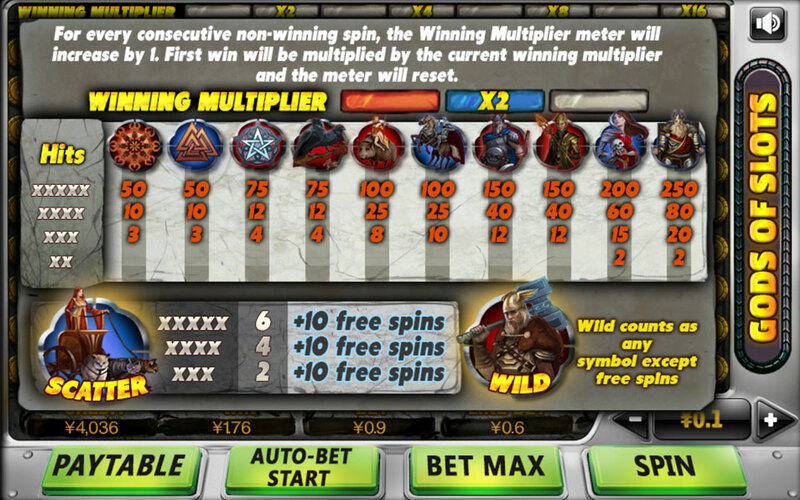 The gods favor winners, but in case of losing a fight or two, the winning multiplier will compensate – this feature will multiply your first win after every non-win round up to 16 times! 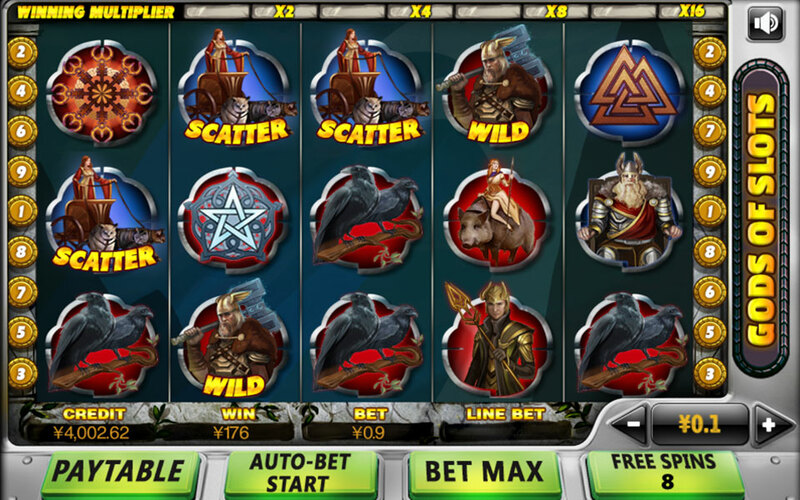 Also introducing the Scatter bonus - By receiving 3 scatters or more you will be granted with 10 free spins!